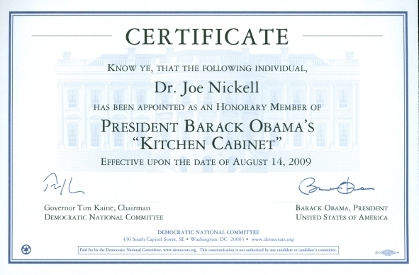 Not only have I been a Political Campaign Worker, but I have also been a presidential supporter, more recently as a member of Barack Obama's "Kitchen Cabinet." Coined by Andrew Jackson's Administration in the 1830s to describe unofficial advisors upon whom Jackson depended beyond his formal cabinet, the term has continued as part of the American political lexicon. 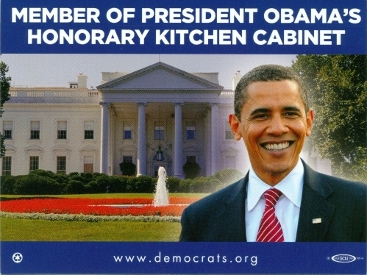 President Obama began to use the honorable title in 2009.